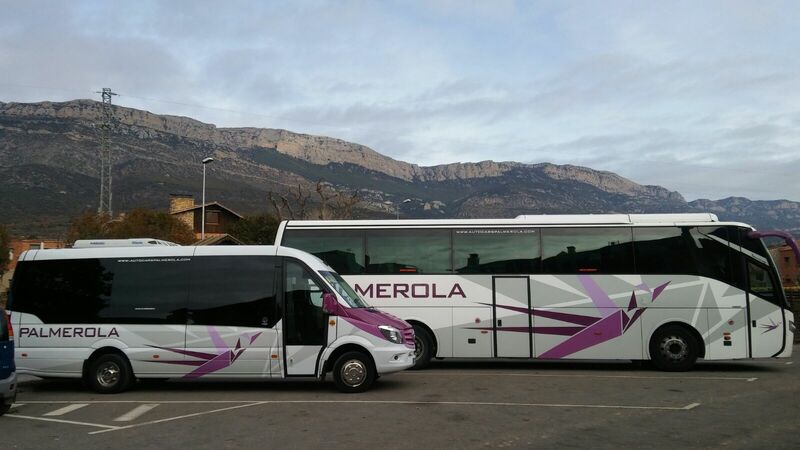 Autocars Palmerola are the reference company of passenger transport in Pallars. We are a third generation family business founded in 1960 in Tremp (Pallars Jussà), key communication hub and main access to Lleida’s Pyrenees and Pre-Pyrenees. We offer the rental of buses, minibuses and microbuses with driver. Our vehicles count with the latest safety and comfort systems. You may rent them for trips of one or several days: trips to ski resorts, transfer to and from airports, train stations or sea ports, school transort, geology trips, social events transport or touristic tours. We adapt to the needs of our clients offering a fleet with different capacities, personalising their trips and responding to any unexpected event that may arise. Our differentiating factor is the commitment with our clients and their satisfaction: primary and secondary schools, firms, associations, travel agencies… Their loyalty year after year speaks of our professionality, reliability and effectiveness. The cumulated experience of our drivers in passenger transport is a guarantee of safety of the trip and of a friendly and polite treatmet of passengers.